it is not going away by itself. A study shows that if nothing changes we will run out of seafood in 2048. Do you want future generations to have access to fish and shellfish? Get more overfishing statistics here and see what can be done about it. We are draining our oceans of seafood at an alarming rate. 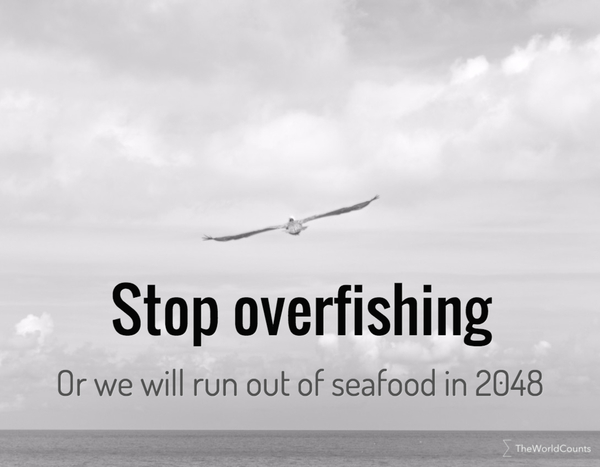 If overfishing does not stop, the world will run out of seafood in 2048. A four-year study of 7,800 marine species concludes that the long-term trend is clear and predictable: “I was shocked and disturbed by how consistent these trends are - beyond anything we suspected” Boris Worm, lead author. Nearly 80% of the world's fisheries that are already fully exploited, over-exploited, depleted, or in a state of collapse. Worldwide, 90% of the stocks of large predatory fish, such as sharks, tuna, marlin, and swordfish, are already gone! Fishing today is dominated by a gigantic modern fishing fleet with enough fishing capacity to cover 4 Earth-like planets. It far out-matches the ocean's ability to renew the number of fish we consume. Watch “The End of the Line” video below. Buying seafood from sustainable sources is possible. The Marine Stewardship Council, for example, works to promote the best environmental choice in seafood through better product certification and eco-labeling. 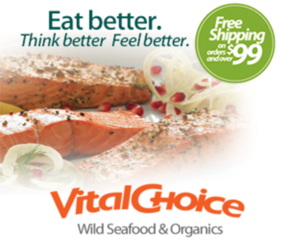 You can find guides on sustainable seafood here. (For the US here). A four-year study of 7,800 marine species concludes that if current patterns persist we will run out of seafood in 2048. If you have a link to the report please let us know. We have only been able to find references in news articles. Interested in more facts like the the end of seafood? Then plug in and subscribe to our newsletter.